I have the distinction to be the first Dickey’s Owner/Operator to open a Dickey’s in a Road Ranger truck stop. Since opening in November 2016, I have focused on engaging with my community through local marketing. Before opening my two Dickey’s locations, I had no previous restaurant experience. But through Dickey’s four-week training program, I was able to prepare for every aspect of restaurant ownership. I consider myself to be successful with my two Dickey’s locations. With Dickey’s local marketing program, I am able to engage with my community and create loyal guests. I first joined the Dickey’s system in 2000, and now I own three stores. I really love the Dickey’s franchise system and I am always reminded why. Dickey’s has grown a lot, and with that growth has evolved its communications. I am very happy with the two-way communication we have now. Dickey’s has changed a lot in 16 years, but the best change has been our marketing. I’ve noticed that we reach more people now with the way we do our marketing. Overall, I’m very happy with my decision to join and stay with Dickey’s. I’ve been successful with this concept because of their ongoing training and reinforcing the standards. Any Owner/Operator can be successful with Dickey’s model – stay engaged, work in the store and do catering. It’s a great recipe for success and happiness as a business owner! 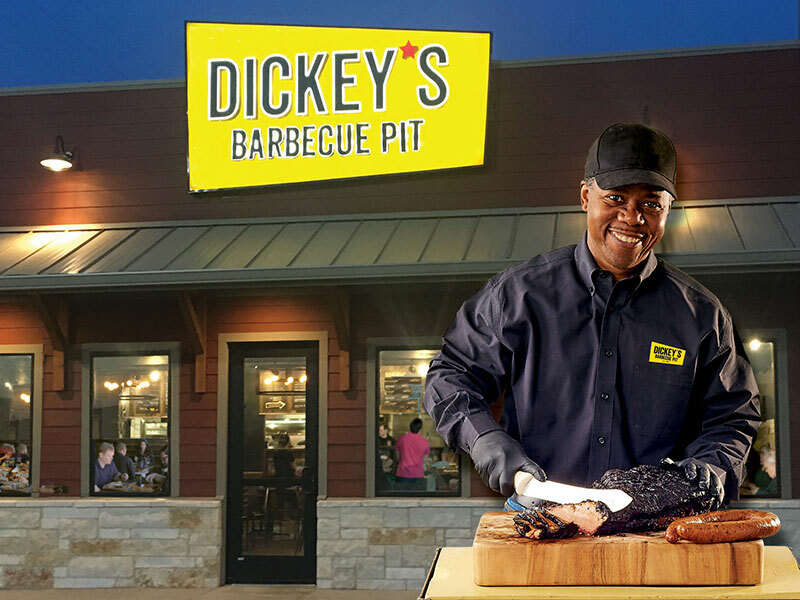 Dickey's Barbecue Pit® Franchising: Join Our Family! 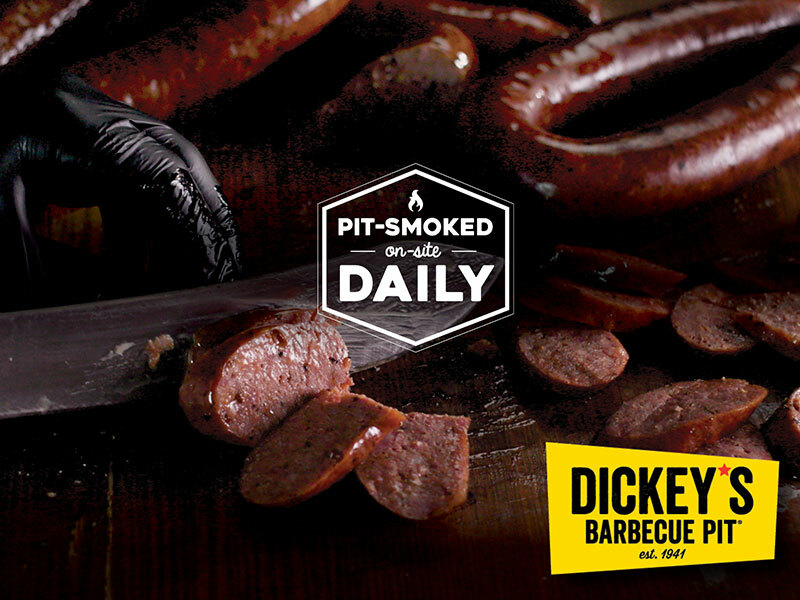 At Dickey's Barbecue Pit, we are passionate about the art of great barbecue! And we are proud to be the largest barbecue franchise in the world. Dickey's Barbecue Pit prides itself on authenticity, innovation and mouthwatering hickory-smoked barbecue. 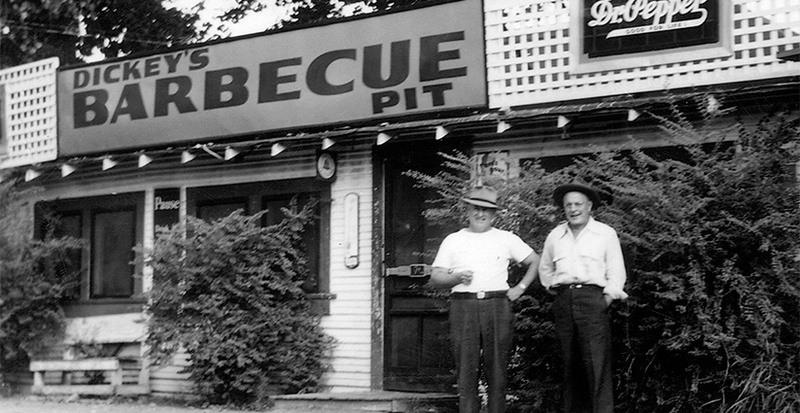 In 1941, Travis Dickey opened the first location in Dallas, Texas. Franchising began in 1994 after loyal guests and barbecue fanatics demanded more locations. Roland Dickey, Jr. became Chief Executive Officer in 2006 continuing the family tradition. As the fast-casual chain racks up recognition, the Dickey family still serves up the same quality barbecue recipes handed down for generations coupled with the same brand of southern hospitality, only on a much larger scale. The fast-casual concept has expanded to more than 550 stores in 44 states with international locations slated to open in late 2018. Residential population of at least 30,000, daytime/business population of at least 15,000, traffic figures of 12,000 daily cars minimum, average household income of at least $60,000, successful co-tenancy, and easy access and high visibility from main thoroughfares. Typical Dickey's Square Footage is 1,500 square feet. *Estimated total building cost does not include other start-up expenses (e.g. franchise fee, lease deposits, etc).